Duke’s hereditary cancer experts offer genetic testing and genetic counseling to people diagnosed with cancer, as well as people who may be at risk of developing cancer. Genetic counselors work closely with oncologists who are trained to diagnose and treat hereditary cancers, comprising five to 10 percent of all canc ers. 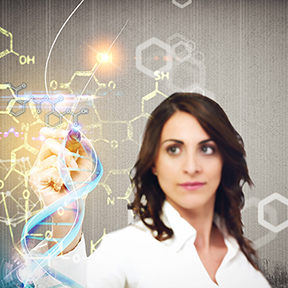 Genetic counseling can help guide treatment. Experts can clarify risks and offer expert counseling. Counselors help patients make informed decisions about treatment options and lifestyle changes. Genetic testing can alleviate fears in people who find they do not carry specific gene changes that may lead to cancer. It can also be a lifesaver. Patients who know their cancer risk can make important decisions about screening, treatment and preventive surgery, which may reduce cancer risk and cancer’s impact on one’s life. Learn more at Duke Health. Genetic counselors, medical oncologists, gastroenterologists, gynecologists and primary care physicians work together to provide comprehensive evaluation, risk assessment and genetic testing and post-test counseling. For more information or to make and appointment, call 919.684.3181.